Elected to become a Fellow of the Royal Society of Edinburgh. Winner of – Anthony Award for Best Critical/Non-Fiction book at Bouchercon in New Orleans. 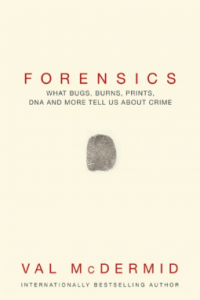 Using historical examples, author McDermid brings to life the various subspecialties within forensic science to show how, and how well, the theories work in practice. The distinct treatment—one chapter on entomology, the next on pathology, and so on—and the juxtaposition within the chapters of histories and case studies produces the experience of reading an introductory forensic science textbook, minus all the colorful photos and elucidative marginalia. While this might leave academic readers feeling shortchanged, average readers will be more than satisfied with a no-frills primer. Additionally, McDermid’s experience as a crime writer and former journalist allows her to present the facts of the individual illustrative cases in compelling ways. Currency of the material is ensured through the use of recent court cases and consultation with practicing forensic scientists. The Mystery Writers of America have announced the 2016 Edgar Award Nominations, celebrating the 207th anniversary of the birth of Edgar Allan Poe. Trick of the Dark is shortlisted for the Galaxy National Book Awards this year. ‘Val’s critical acclaimed standalone novel, Trick of the Dark, has been shortlisted for the Thriller and Crime Novel of the year category at the Galaxy National Book Awards 2011. 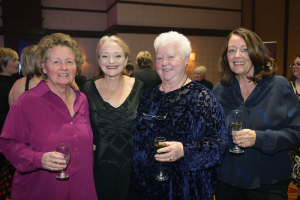 Fellow contenders include Ian Rankin, Martina Cole, S J Watson, Robert Morris and C J Sansom.’The Galaxy National Book Awards honour the best of British writing & publishing, whilst celebrating books with wide popular appeal, critical acclaim and commercial success. CWA Cartier Diamond Dagger 2010 – Winner in recognition of Val’s work over more than 20 years. Sherlock Award for Best Crime Novel – The Distant EchoThese awards, recognising the best in detective fiction, are presented by SHERLOCK magazine. They are unique because they are given to the detective rather than the author – the creation rather than the creator. Of course, the author is invited to the prize-giving ceremony and gets to keep the Sherlock, a stylish bust representing the Great Detective. The awards are given to books published in the previous year. 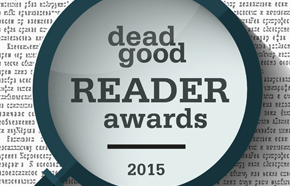 Spoken Word Publishing Association Awards (Best Crime Novel) – The Distant Echo More good news! The abridged audio version of The Distant Echo has won Gold in the Crime/Thriller category at the Spoken Word Publishing Association Awards. Unfortunately, I couldn’t be there myself, but Peter Capaldi, who did a first-class job of narrating the book, collected on my behalf.